The key objective of the digital signage solution at DHL is to communicate efficiently and quickly with the staff to improve the company’s efficiency when loading flight parcels and deliveries. To achieve this an intranet based software solution was incorporated into ONELAN’s Net top box (NTB) players and publishers to provide a streamlined and easy to use time management system. Employees are directed to next plane requiring unloading and a countdown timer ensures they are aware how much time is remaining to complete unloading. ONELAN’s partner LamasaTech achieved this by integrating ONELAN’s digital signage solution with the live flight data and producing intelligent content. A DHL flight departure Excel spreadsheet is uploaded to the system and the flight times are automatically placed live onto the system. The countdown times for loading parcels and packages onto the planes before the flights depart the airport are displayed in the relevant 10 zones to the employees. The initial requirement from DHL was to ensure the software was very straight forward and user friendly for all the DHL employees. There are 10 × 55″ LCD screens linked to the central publisher. The central publisher is connected to 10 ONELAN NTB– 650 players which display the flight information on the digital signage screens. The DHL managers have their own login to their own networked web based portal to enable them to manage all the flight information that is displayed on the screens. Up to 3 active flights can be displayed in the main area of the screen. The branding of the content was very important as it is displayed on 55″ LED screens and is therefore highly visible. 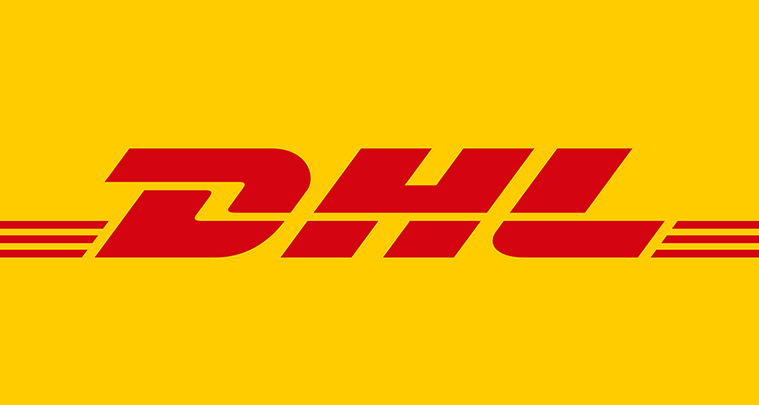 It is in keeping with the initial DHL Express colours and corporate identity, which was very important to DHL. Readability from a distance was important and the typography chosen to display on the screen was key for the system to be practical and user friendly. The system was setup and simple training was given to the staff members. The flight management system is simple system to operate as the flights can be simply uploaded onto the system and managed manually if required. RSS news feeds, slideshows or video content can be displayed using ad hoc scheduling on ONELAN’s NTBs; this can be easily managed by the DHL employees. DHL wanted to make the solution scalable to reach all the other DHL location Airports, so ONELAN’s digital signage is perfect for this as it allows LamasaTech to easily maintain the system and add an unlimited amount of additional screens. The solution was installed successfully by LamasaTech and has been designed to be expandable and scalable in the future. The solution has been warmly received by DHL and, being fully automated, has taken the manual process away as each week the flight schedule spreadsheet are now uploaded directly onto the system. All the activities are tracked so Daily, Weekly, Monthly or Yearly data can be exported and monitored. “When DHL Bahrain Hub opted for a solution to display the cut off time for the daily outgoing flights, we could not find the required solution in the local market. LamasaTech, through their local partner in Bahrain, presented the perfect solution. LamasaTech did not stop there, it enhanced the system and added valuable features. The after sales concept is very prevalent in LamasaTech as its technical team continues to support DHL Bahrain everytime we place a request. I strongly believe that DHL Bahrain has taken the right decision by selecting the LamasaTech expertise and tailor-made solutions. Thabet El-Barshoumy, Operations Projects Manager, DHLBahrain Hub.